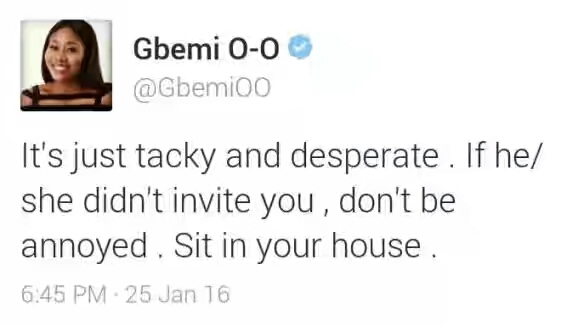 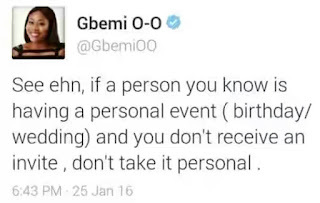 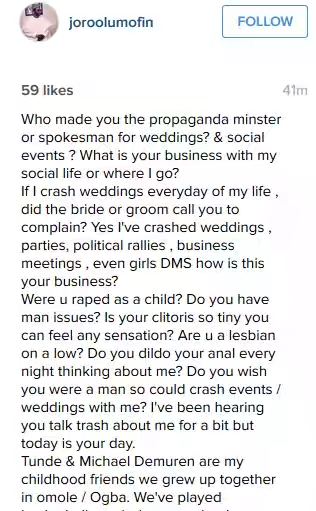 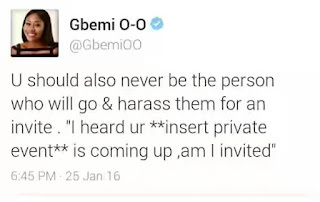 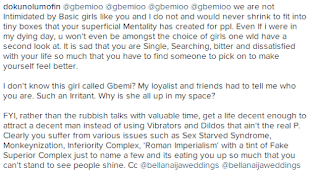 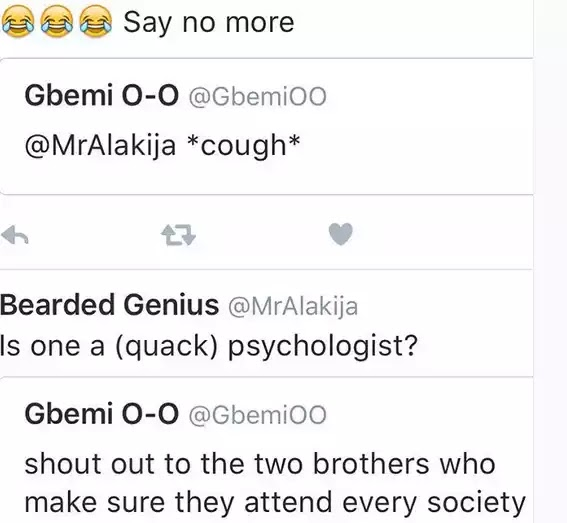 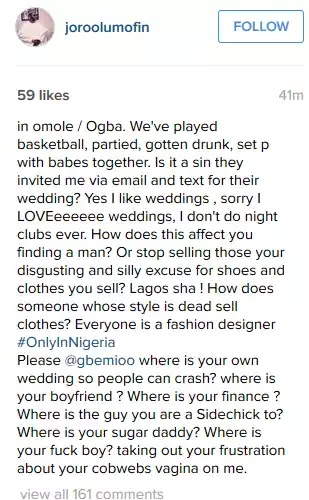 In a series of tweets, OAP Gbemi Olateru-Olagbebi, threw major shade at two brothers who she says go to society weddings/events that they are not invited to. 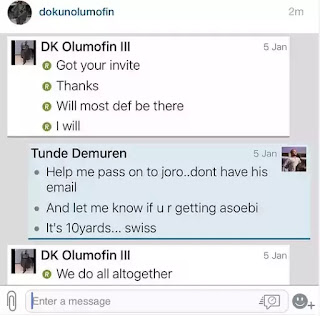 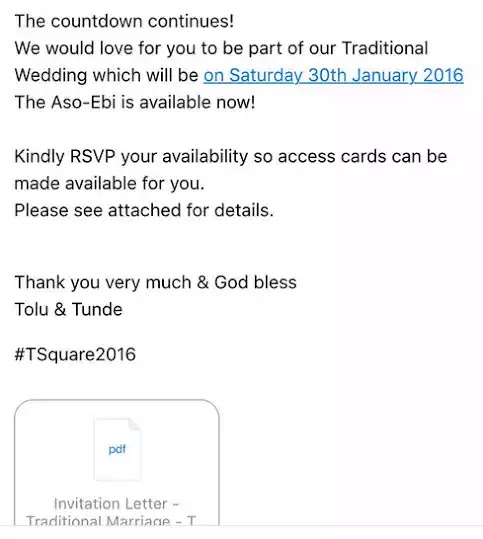 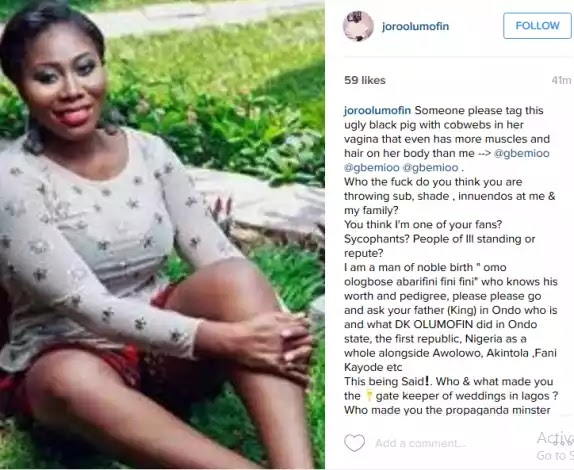 The brothers, Joro and Dokun Olumofin, who somewhat gave relevance to her claim also shared Invite to Tunde Demuren & Tolu Oniru's wedding. 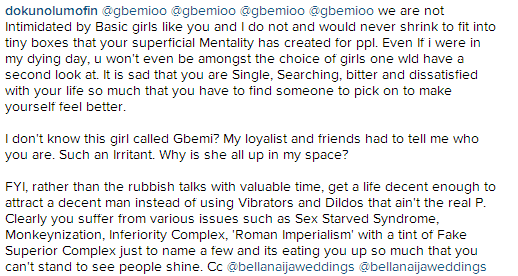 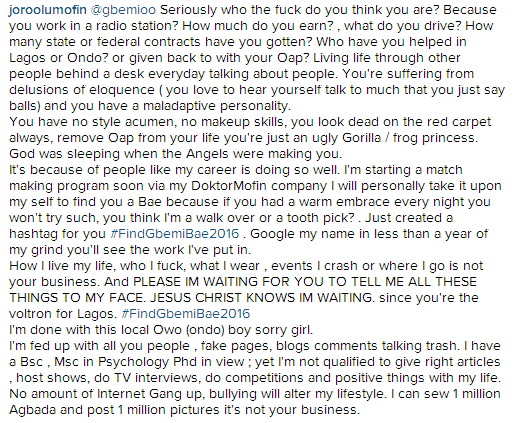 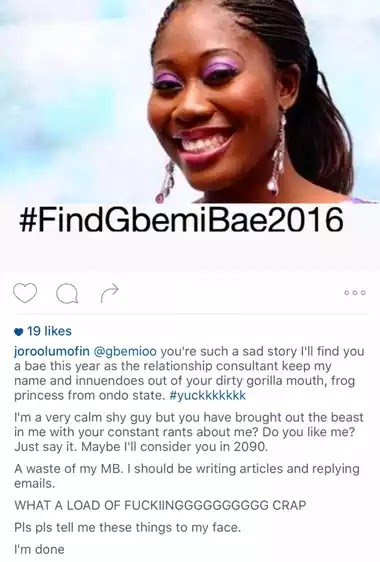 See the brother's comments and the Gbemi tweet.